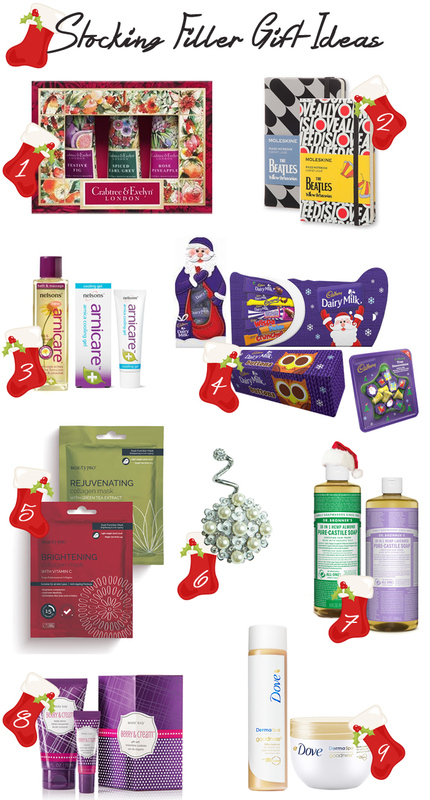 Stuck for stocking filler gift ideas? I have made a list of 9 interesting and awesome products - all priced under £15 - that would make brilliant gifts for your loved ones or friends. These would also be perfect as Secret Santa presents. Know a lover of stationery? Then the Beatles Limited Edition Notebook Collection commemorating The Beatles’ iconic hit, Yellow Submarine, would make a good gift choice. Celebrating the artistic contribution of the Beatles, the artists as well as the animators involved in the Yellow Submarine movie, the notebooks feature psychedelic graphics on the cover and include a special Beatlesmania sticker set which have each been carefully designed as a tribute to the pop culture of the 60’s. Prices start from £14.95 for a pocket size notebook and the five piece limited edition notebook collection is available in store and online at Moleskine.com/thebeatles. Nelsons products are holistic, arnica based products that target a number of conditions. I have used many of their products over the years and like the fact that they make use of natural ingredients and essential oils. The bath and massage balm is a dual-purpose product - - you can massage it into aching, stiff muscles to soothe tension or simply add it to running water for a luxurious bath. With Evening Primrose and rich Sweet Almond oil to naturally hydrate the skin and Lavender and Grapefruit essential oils to help calm senses and relax the mind. The Cooling Gel combines the benefits of Arnica with the refreshing sensation of natural Grapefruit oil and Menthol to soothe and cool the skin. It is perfect for rubbing into aching muscles or to revive tired legs after being on your feet all day. Both these products would be a perfect presents for use after a busy Christmas. You can buy them online from Nelsons Homeopathic Pharmacy and retailers like Boots, Amazon, Superdrug etc. For the beauty/skincare lover, Collagen sheet masks from Beauty Pro would make a wonderful stocking filler idea. The collagen sheet masks are cut to the shape of the face and are ready to use. Infused with marine collagen, combined with key vitamins, herbs and botanicals the masks help to improve skin tone and complexion. I have used two of their collagen masks - Brightening and Rejuvenating masks - and loved both. The former is great at improving skin tone and adding a healthy glow while the latter is helpful in combating oily t-zones and at the same time moisturising dry areas of the face.